Thank you to Wunderkind PR for sending me this book for free in exchange for my honest review. From the book: A novel of the close friendship and fascinating creative partnership between two of Hollywood’s earliest female legends: screenwriter Frances Marion and superstar Mary Pickford, who persevered through daunting challenges in an industry and an era dominated by men – and triumphed. This book covers the lives and careers of Marion and Pickford from about 1914 to 1969. 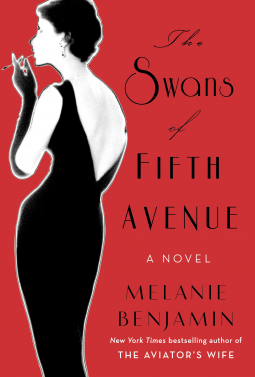 If you’re into historical fiction set in ‘Old Hollywood’, then this is the book for you. I received this book for free from NetGalley in exchange for an honest review. This does not affect my opinion of the book or the content of my review. All opinions in this post are my own. Babe Paley is one of many famous faces living in New York in the 1950s. A member of high society, she has a rich husband, famous friends, and is a fashion icon to one and all…on the outside at least. But inside Babe struggles with the constant need to appear perfect and longs for a true friend, someone she can be honest with. Enter Truman Capote – a strange, hyperactive, flamboyant spark among the cool, glittering elite of society. Babe and Truman become closer than she’d ever imagined, but even that friendship comes with a price. I love Benjamin’s other works and was very excited to receive a digital copy of Swans – I was not disappointed.